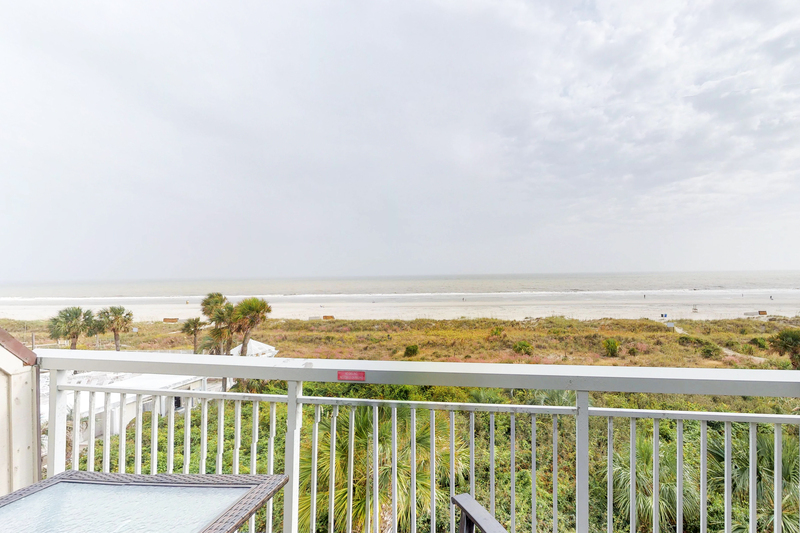 This unique true-value direct oceanfront Breakers villa, located on the top floor, combines the breathtaking view of the Atlantic Ocean with spacious and comfort living in one, none other like it! 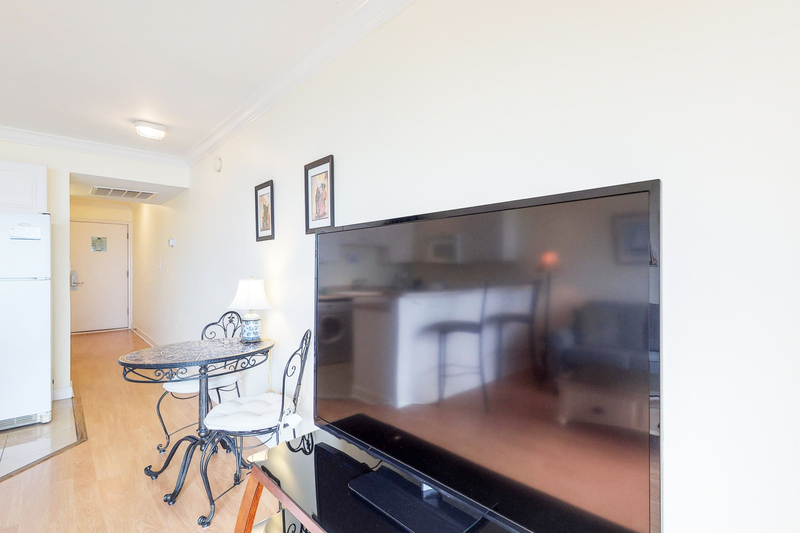 Recently renovated with hardwood floors throughout, and twin spacious floor-to-ceiling modern closets in the bedroom, it has your ultimate value and enjoyment in mind, from the fully equipped kitchen, 60” flat panel TV and Blu-Ray player, to the Flexsteel® memory foam queen sleeper sofa. 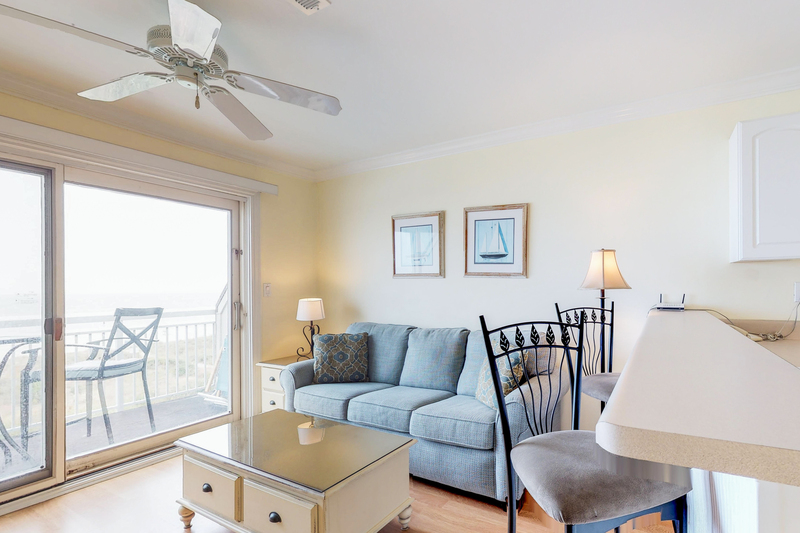 The living room together with the kitchen is bright, open, and filled with the sound of ocean waves. 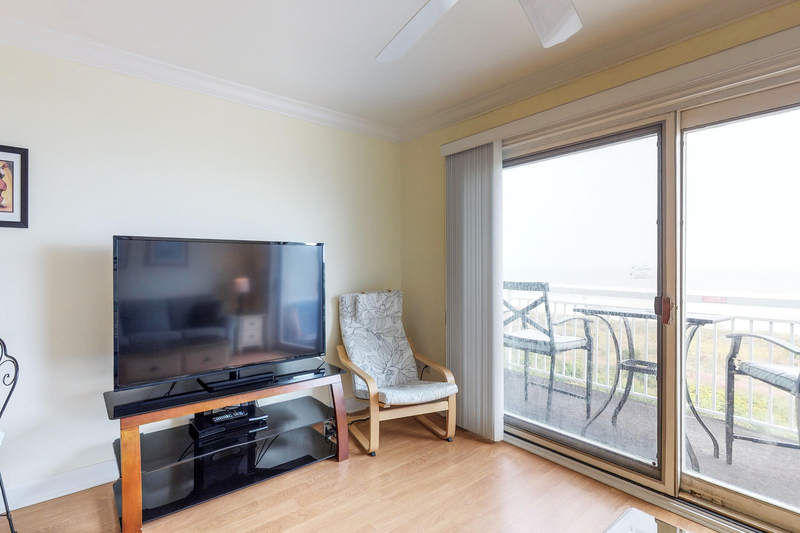 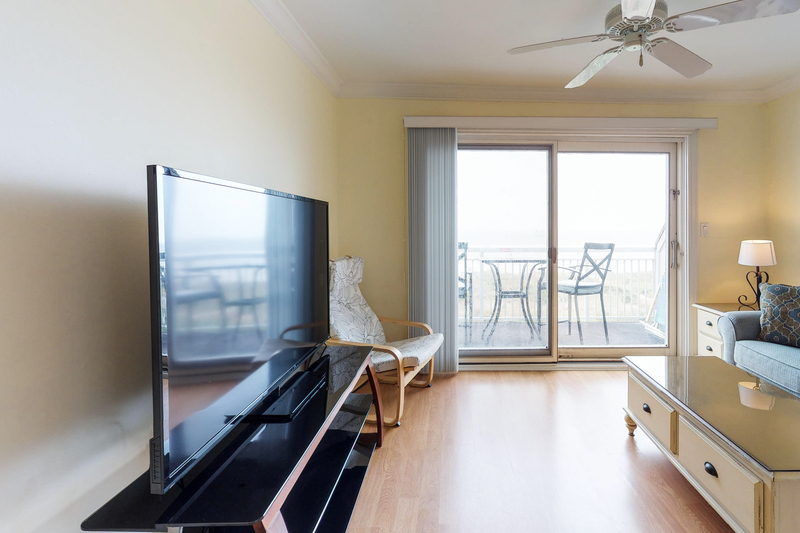 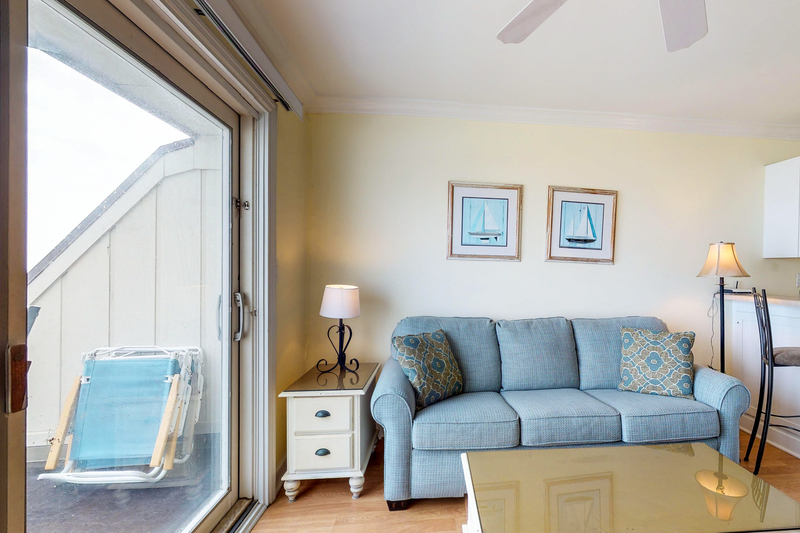 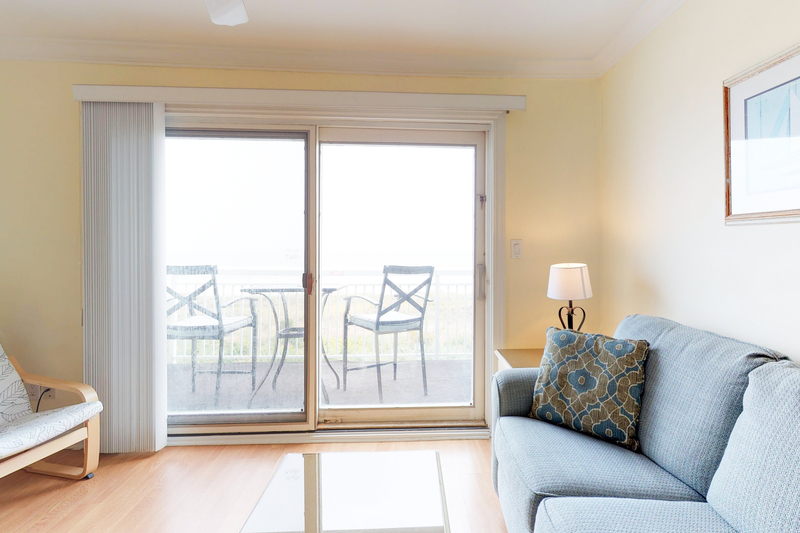 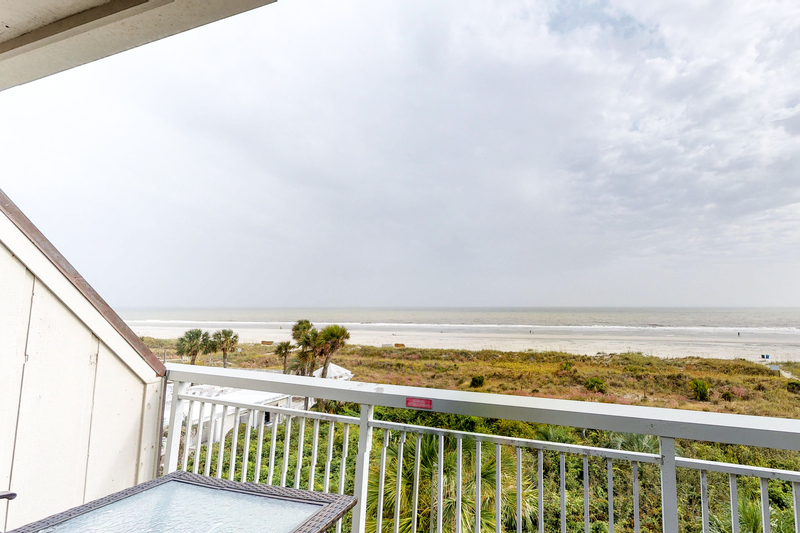 When you open the large sliding door to the balcony, your loved ones on the beach are clearly visible, just an earshot away. 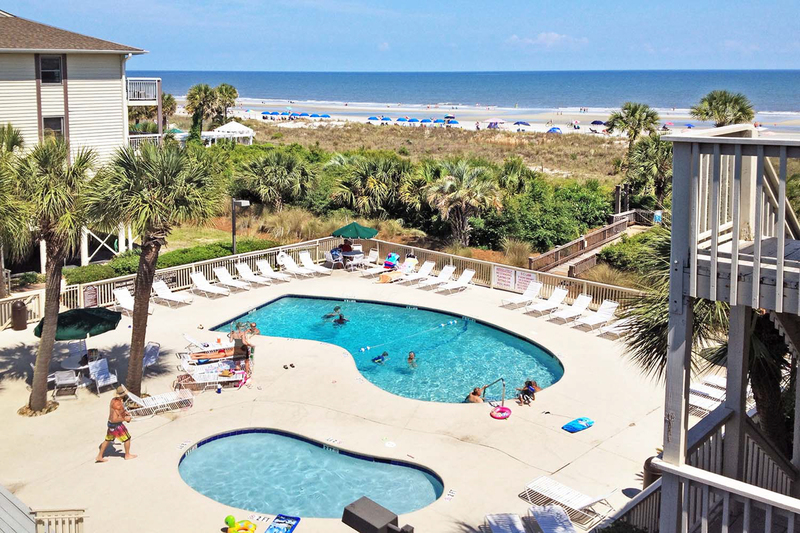 Your beach vacation can’t get any better than this! 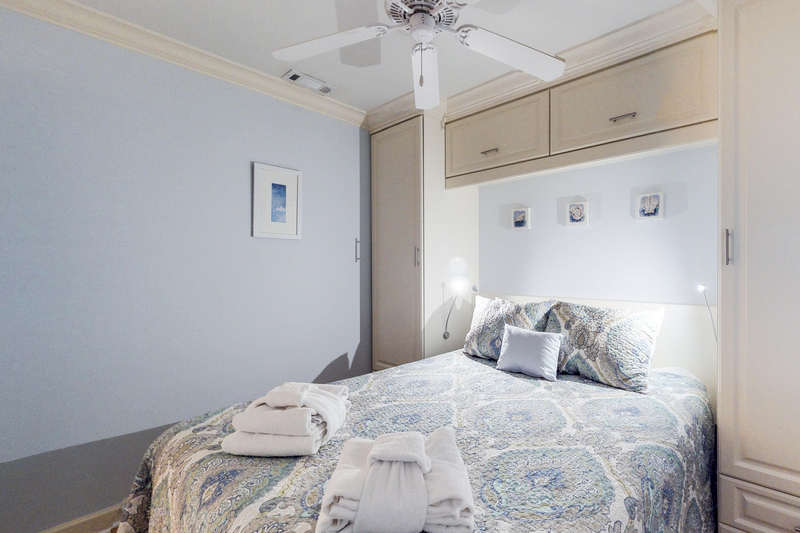 The bedroom is comfortably furnished with a new comfortable memory foam queen bed. 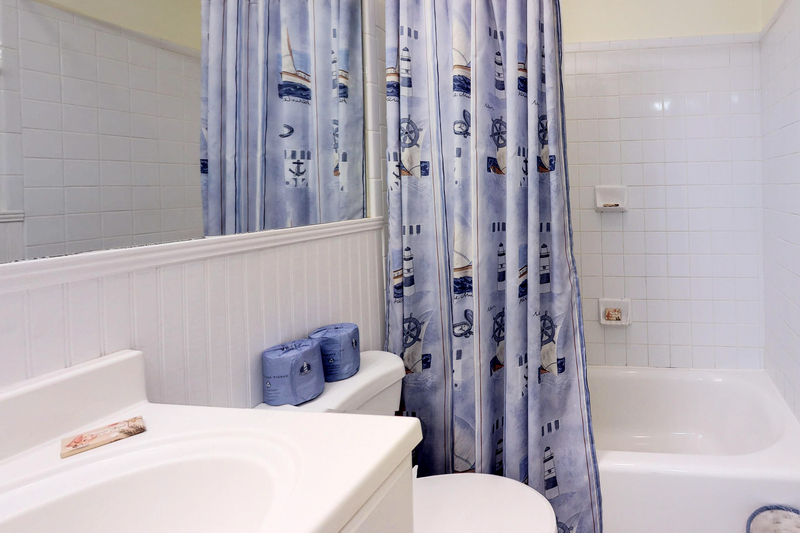 The bathroom is accessible through the hall and has a tub/shower combination. 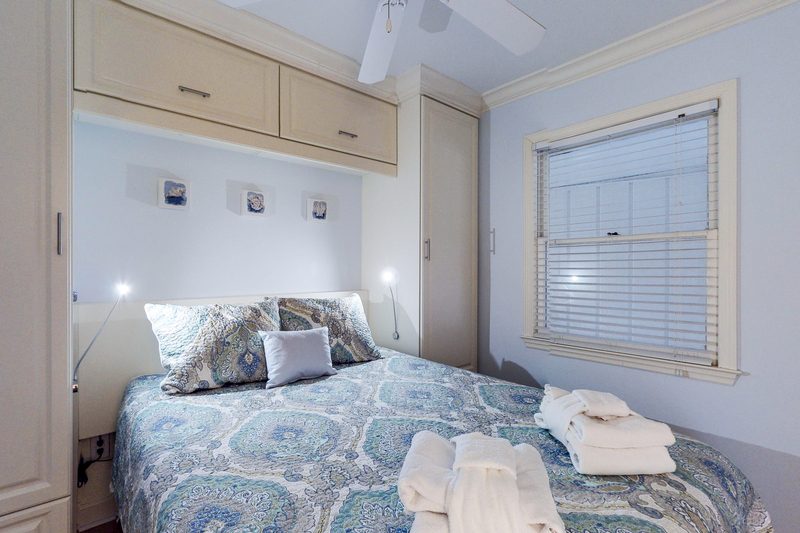 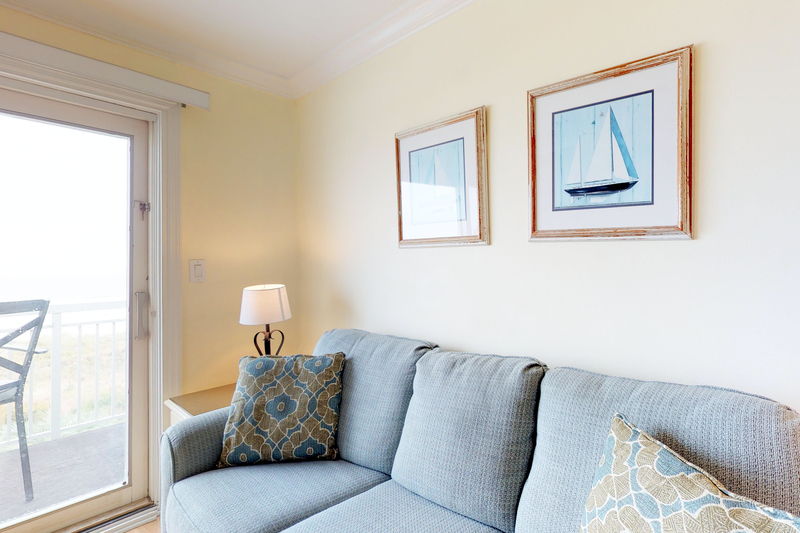 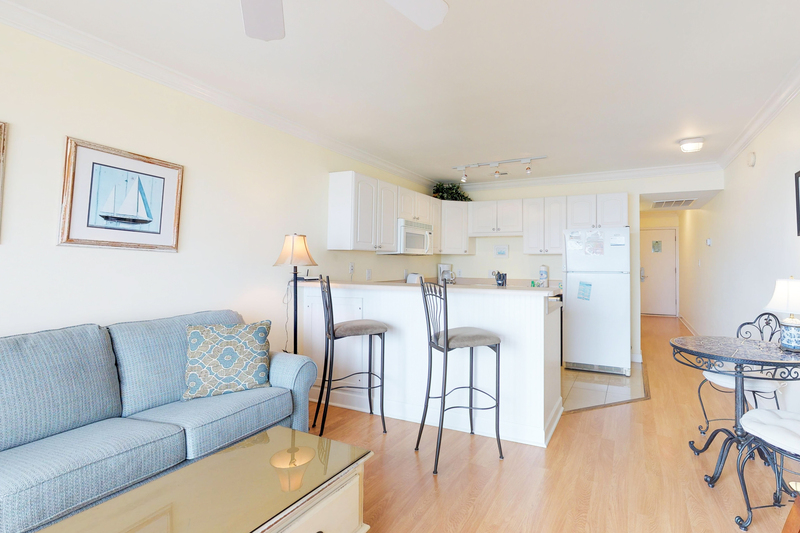 These 1 bedroom Breakers economy villas are designed and furnished with the weekly vacationer in mind. 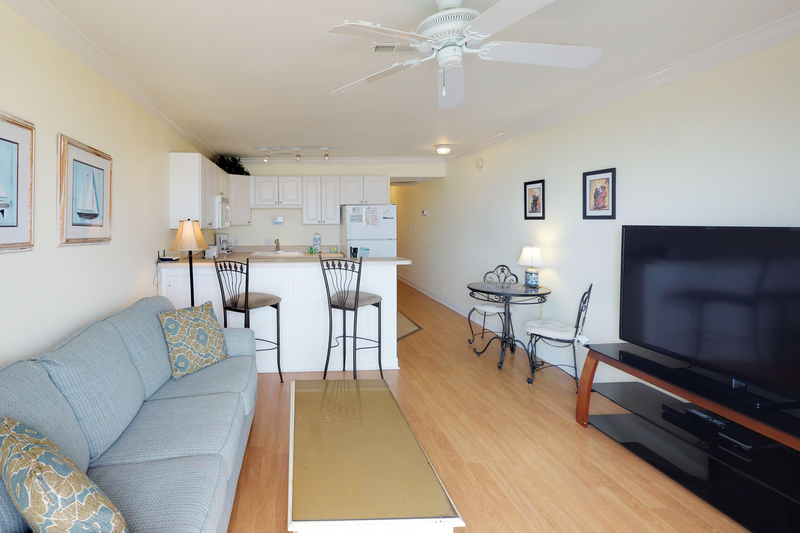 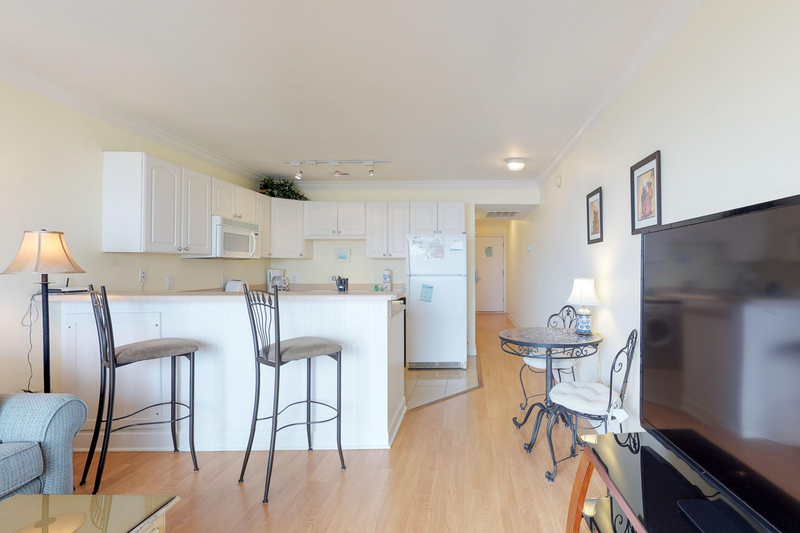 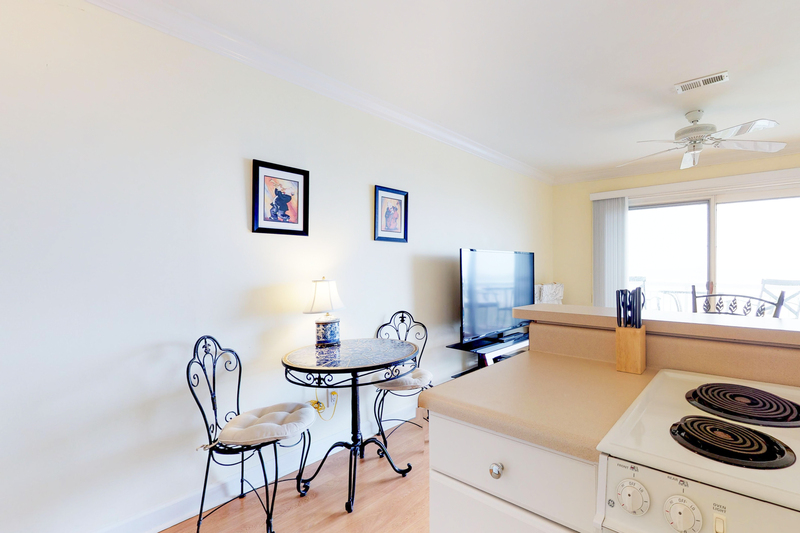 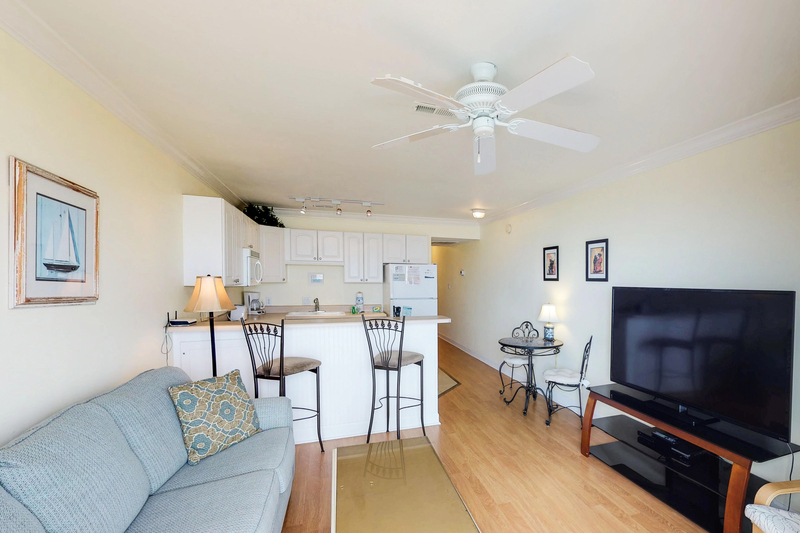 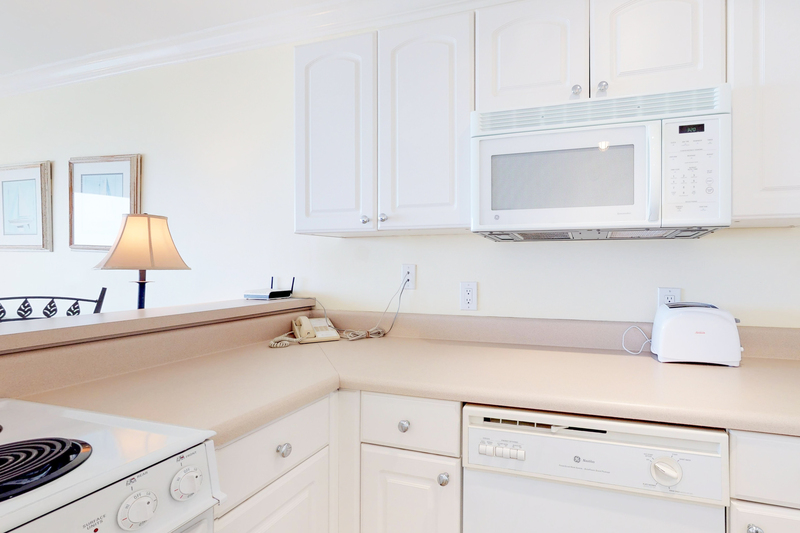 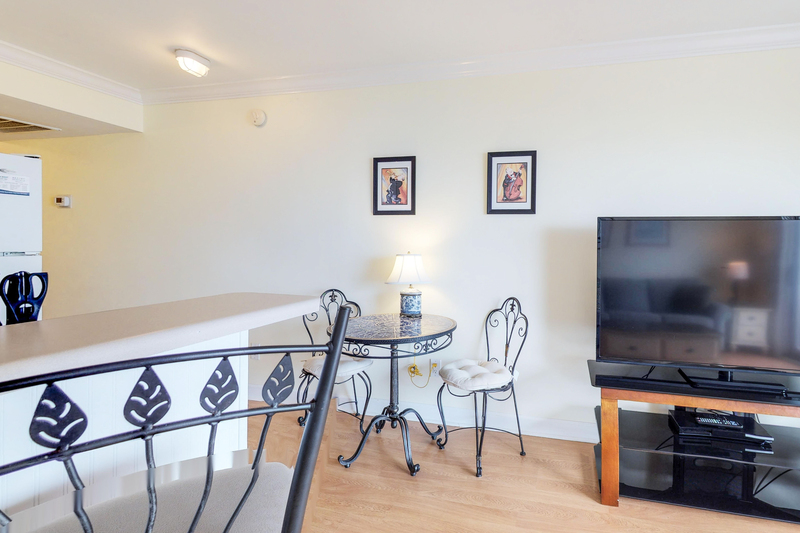 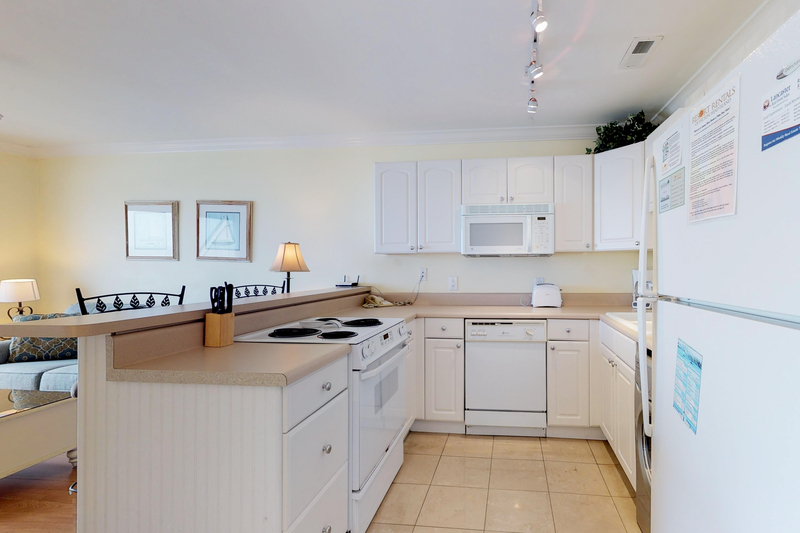 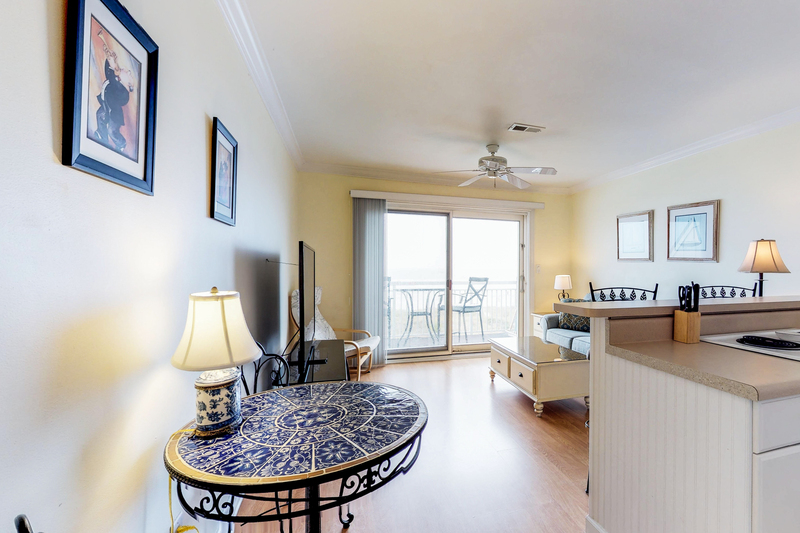 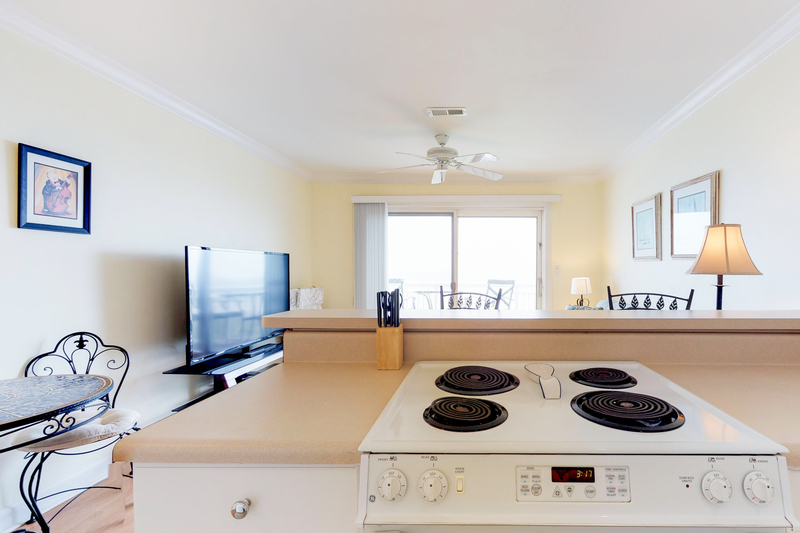 The efficiency size includes fully equipped kitchens that open to the living area and balcony. 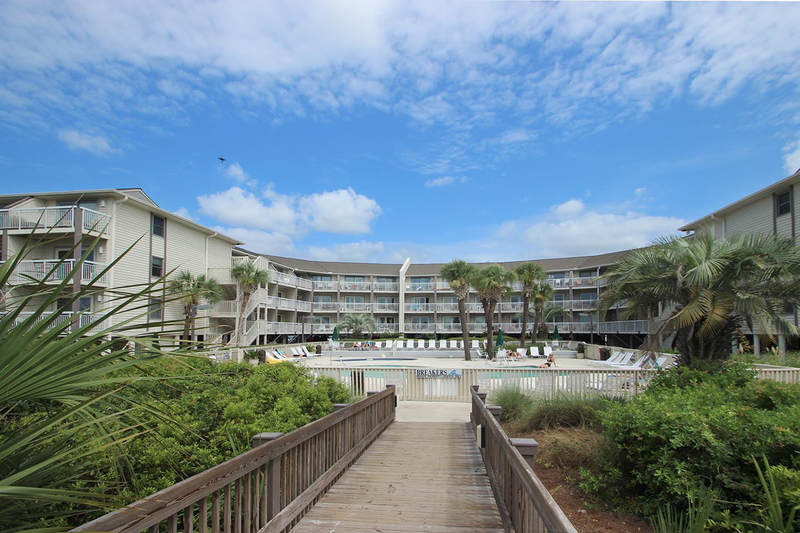 Oceanfront swimming pool and children's pool offer the perfect setting to relax and enjoy the day. 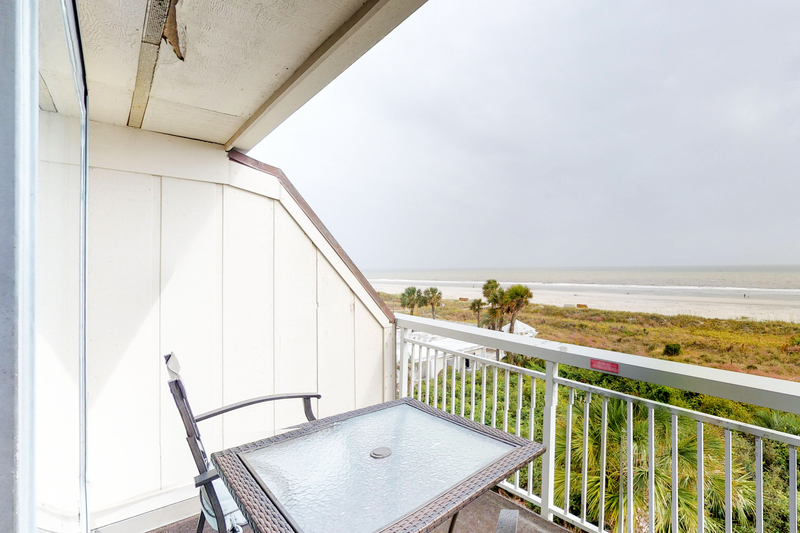 The Breakers complex also has easy access to the many shops and restaurants of Coligny Plaza, just a short walk across the street. 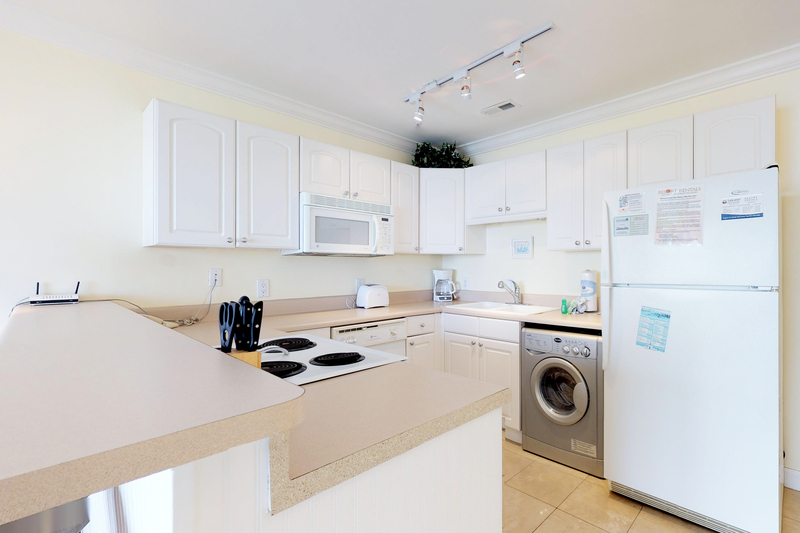 This villa is equipped with a light duty washer/dryer combo.